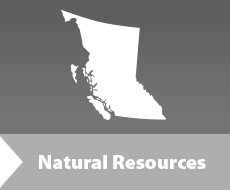 Ruddock Creek Mining Corporation (Proponent) proposes to construct and operate the Ruddock Creek Mine Project (Proposed Project), an underground zinc and lead mine in the Monashee Mountains approximately 28 kilometers east of Avola, British Columbia. The proposed Project would have an annual production rate of 1,050,000 tonnes per year projected over eight years. The Proponent must obtain an environmental assessment certificate before any work can be undertaken on the proposed Project. However, prior to submission of an application for an environmental assessment certificate by the Proponent, the Environmental Assessment Office (EAO) must first approve a list of Valued Components. Valued Components are aspects of the natural and human environment that have social, cultural, historical, ecological, scientific, economic or other importance to society. The Valued Components will be used to develop the information requirements that will make up the Proponent’s Application Information Requirements, a document that summarizes the detailed information to be provided by the Proponent in its Application. EAO invited the public to comment on the list of Valued Components to be included in the Application Information Requirements. Information is available online here. Comments were be accepted by online form, mail and fax until October 8, 2015. All written comments received during the comment period in relation to the Valued Components were considered. All submissions received by EAO during the comment period in relation to the proposed Project will be considered public and posted to the EAO website. The intention of seeking public comments was to ensure that all potential effects – environmental, economic, social, heritage and health – that might result from the proposed Project were identified for consideration as part of the assessment process.